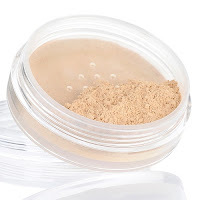 Babblings of a Mommy: Sheer Cover Mineral Foundation: For A More Natural You! 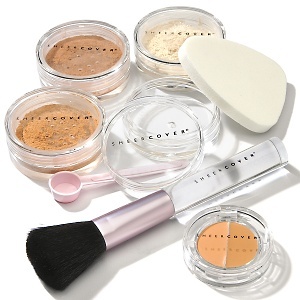 Sheer Cover Mineral Foundation: For A More Natural You! Contains 100% pure minerals with NO oils, perfumes, dyes or talcs, so it's gentle and non-irritating - even for sensitive skin. True Shade Technology™ ensures that the powders blend in with your skin tone for a perfect color match. Feels light, allows the skin to breathe and goes beyond just covering up - it actually deflects light away from flaws. Contains anti-oxidants designed to protect your skin from damaging free radicals. keeping it natural and healthy. Helps filter the sun's harmful rays and works as a natural sunscreen. It protects against the visible signs of premature aging with SPF 15. What I liked most about this mineral foundation is that it's a unique 4-in-1 formulation so it acts as your sun protection, anti-aging protection, foundation, and finishing powder. Everything a girl needs, right?! The best part about it is that it goes on like a powder, but covers like a foundation so it hides any blemishes and imperfections flawlessly in a matter of seconds! It goes on very sheer so it doesn't look like you have a ton of powder on and it even comes with 2 blendable shades to find your perfect skin tone match! I'm loving it! I'm using this daily now because it looks so natural and it covers everything I need covered, plus it's such a time-saver especially in the mornings when I'm trying to get my daughter off to school. The only thing I would have to say about it is that the pots seem rather small so I don't know how long foundation will last, but other than that I think this it's genius! I highly recommend Sheer Cover to everyone! I wish they had a shade that matched me. I al always in between and up buying two shades trying to blend them. Maybe I will try again. Tiffany: their starter kits already come with 2 blendable shades, so it's perfect for you!